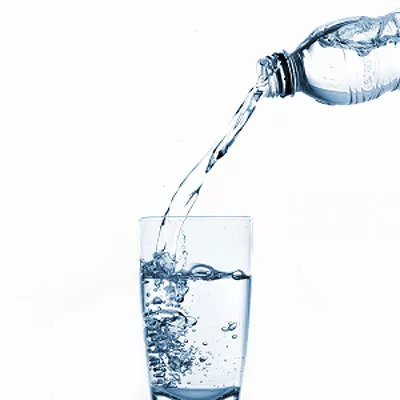 Water aids in digestion, helps flush out toxins, hydrates our skin, and it may help with weight loss. But do you really know what's in the liquid you're drinking from the tap or bottle? Here's how to make sure your H20 is safe. If you’re on city water (as most homes and apartments are), water companies are required by law to monitor the supply for contaminants and reduce them to safe levels determined by the Environmental Protection Agency (EPA). You can request a report via your city’s website or contact the supplier via the number on your bill, says Nneka Leiba, MPH, deputy director of research at the Environmental Working Group in Washington, DC. If you have well water, the EPA recommends homeowners test wells annually for harmful solvents. You can find a reliable testing lab at water.epa.gov. Even with monitoring, “There can still be trace amounts of impurities present in tap water, including impurities like lead that leach from household plumbing,” says Cheryl Luptowski, Home Safety Expert for NSF International, a public health certification and research foundation. Even very low levels of lead in drinking water have been linked to cognitive issues, especially in children. A pitcher with a carbon filter (like a Brita) will remove most contaminants. If your report reveals even tiny amounts of arsenic, hexavalent chromium, and perchlorates, however, consider investing in a reverse osmosis carbon filter, which is installed under your sink for a couple thousand dollars. While the U.S. Food and Drug Administration regulates bottled water for safety, it’s not any more pure than what’s coming out of your tap, notes the National Safety Foundation. Like city water, it simply can’t contain any contaminant at a level that exceeds maximum allowable concentrations. Drinking filtered is just as good—and eco-friendly, too.